Haha, this is turning out to be a hilarious day!!. 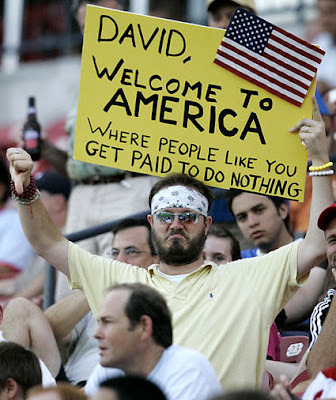 Came across this picture where a fan is holding up a placard during one of Beckham's games. Came across this from SoccerBlog.